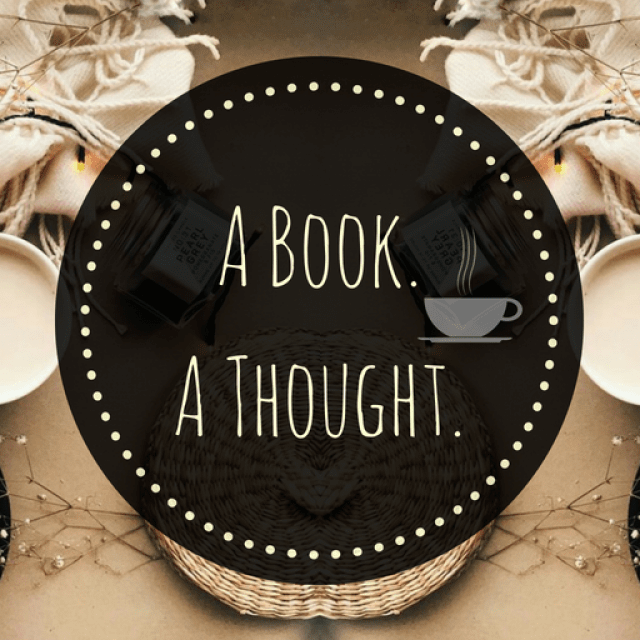 The ABC Book Challenge|R|☕️ | A Book. A Thought. 6 January, 2019 12 January, 2019 / Sofii @ A Book. A Thought. ☕️ Ruin and Rising (The Shadow and Bone Trilogy #3) by Leigh Bardugo : This INCREDIBLE book is the third book of the Shadow and Bone or The Grisha trilogy, whatever you want to call it. And it’s absolutely brilliant I love this trilogy. I love the magic system, the world and especially the characters, I think Alina is a character that grows a lot and obviously we have my babe: The Darkling, who’s, for me, the best anti-hero character. ☕️ Rise (Eve #3) by Anna Carey : This book is the third and final of the Eve trilogy , and is one of those first fantasy/dystopicas that I read in my life, so I know I didn’t have much to compare to, but I still have a lot of love for these books and in its moment I enjoyed them A LOT. In fact, they’re on my favorites list!. Well, these books are located in a dystopian world where a virus has killed most of the population so things are very different today, we follow Eve, who lives inside a school along with many other orphan girls, and the poeple of the school promise them that once they finish their studies they’ll be able to take a place in the New America as artists and teachers. ☕️ The Raven Boys (The Raven Cycle #1) by Maggie Stiefvater : This quartet is really good, I love this story and I find it super original is nothing that I’ve read or heard about before. Blue’s a great female character and I love how she interacts with the Raven Boys during the books. My undisputed favorite is Blue, Lily, Lily Blue !. In that book everything that must happen happens, the personal stories are developed beautifully, also the romances, and also the plot advances a lot. I think this series can be a bit confusing, so I think that either you love it or hate it, I don’t think there are gray spaces with these books. ☕️ The Retribution of Mara Dyer (Mara Dyer #3) by Michelle Hodkin : OMG ,the Mara Dyer trilogy is everything for me, I think is one of the best trilogies that I read in my life, it combines everything I love from a promise of super creepy and twisted plot, to a supernatural turn. I love these books and I know it may be an unpopular opinion, but here I am to talk about how much I love these books. There’s something about the writing style of and the plot itself that is very intelligent, and that mystery surrounds you from the first page because you don’t know exactly what’s going on until very advanced into the story, there are many chances that you’ll not guess the truth until it’s revealed and I LOVE THAT. This is the third book so I can’t tell you much about it, but I’ll tell you a little about, in general. Mara wakes up one day in the hospital with no memory of how she get there or what happened before. She was in this horrible accident that killed her friends but mysteriously nothing happened to her despite having been in the same place. These look so good. Will be adding to my reading list. I’ll definitely had a few of these to my list!!! I’m reading Reign of Shadows this week. I hope we both enjoy it and I can’t wait to find out what you think about it. I haven ‘t read any of these books, a lot of them aren’t books that I would read but they do have pretty covers. I adore Radio Silence and everything Alice Oseman has written. Have you read I Was Born For This? It’s so good! Everyone has gone ON about how great “Roar” is … REALLY need to make sure I read this one in 2019. And HOLY COW GURL! I can’t believe you’re almost done this!! Good work on you! The first person I ever saw do this challenge (or something very simmilar) was Alex @ The Paperback Piano! I’ve actually read a couple of these! Loved Red Sister. Roar was interesting but I hated the “romance” ugh one of the worst I read in a while. And Reign of Shadows was not good. Fingers crossed you like it more than I did! The only one I’ve read is Ruin and Rising 🙂 I really enjoyed it! A memorable R title for me has to be Rebecca by Daphne du Maurier! Great list! I loved rose society 🙂 And hope you like red sister!